Strong leadership teams set the tone for how all other employees and volunteers work together. They can foster a culture in which it is safe to ask questions, share ideas, take risks and offer feedback. When teams have the courage and discipline to address challenges and work to overcome them they make better decisions and accomplish more in less time with fewer resources. High-performing, cohesive teams are at an advantage to successfully tackle bold initiatives, navigate change and increase mission impact. This one-day intensive training provides an introduction to The Five Behaviors of a Cohesive TeamTM model of team performance, which is based on Pat Lencioni’s best-selling book, The Five Dysfunctions of a Team. Senior leaders and leadership teams responsible for advancing strategic priorities and increasing the effectiveness of their organizations. Note: Teams of 3-8 are required for maximum benefit. 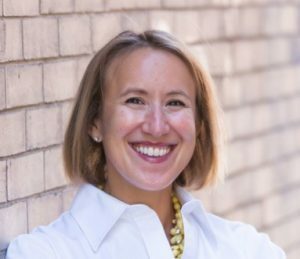 Laura Mitchell, a consulting partner with Starboard Leadership Consulting, has 14 years of experience in marketing, strategic planning, facilitation, fundraising and community building. Laura’s focus at Starboard is on leadership and team development with corporate and nonprofit clients. She is a certified trainer and facilitator in both “Everything DiSC” and “The Five Behaviors of a Cohesive Team™”. Prior to Starboard, Laura owned an independent consultancy conducting strategic planning and project management in the health care and human services sector. Laura has also worked for the Bangor Region Chamber of Commerce, United Way of Eastern Maine and Eastern Maine Development Corporation. As a volunteer, Laura has gained experience on municipal and non-profit boards with the City of Bangor and the Bangor Land Trust. She is an active volunteer with Hampden Schools and Bangor Region Leadership Institute. A graduate of the University of Maine in Orono with a B.S. in Biology and an M.S. in Ecology and Environmental Sciences with a concentration in Resource Economics and Policy, Laura spent a year studying abroad at the University of East Anglia in Norwich, England. Laura and her family live in Hampden, Maine.